Join FIT4MOM for a fun Stroller Fitness class at Cantigny! This class will be a combination of our popular classes, Stroller Strides and Stroller Barre. Classes are 60 minutes long and incorporate cardio, strength, and balance training. Instructors and participants sing songs, play games, and blow bubbles to keep children engaged during class. Taught by certified and specially trained fitness instructors, it is a great workout for any level of exerciser. First class is FREE! 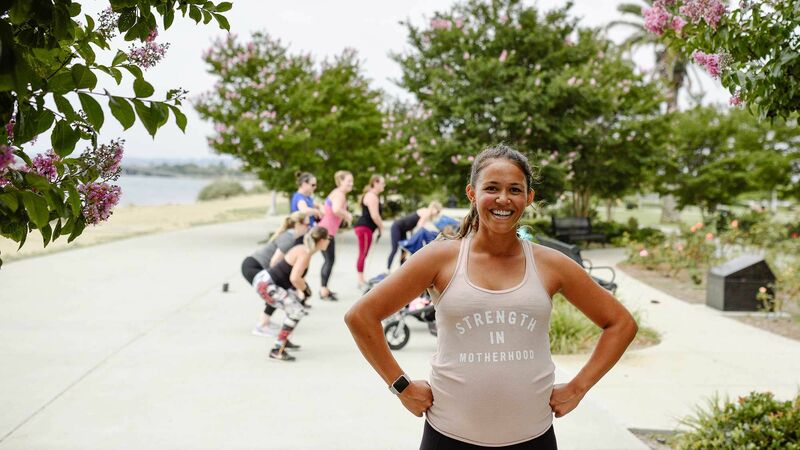 When entering the park let the attendant know you are arriving for the FIT4MOM Stroller classes for free admission to the park. Head through the visitors center to the fountains area. We will travel throughout the gardens for our class. Consider brining a change of clothes for your little one to play in the fountain after class or stay and enjoy a picnic lunch at the park! In the months of November - April Stroller Strides classes will meet at the gym inside of the Parks Plus Fitness center. Otherwise known as the Wheaton Community Center - a Wheaton Park District Facility. During the months of May-October classes will remain outdoors at Seven Gables Park unless there is a weather related change. All weather related changes are posted on Facebook 1 hour prior to the start of class or check out our website to stay up to date. In the months of May - Lombard Stroller Barre and Stroller Strides will meet at the entrance to Yorktown Center Outdoors. Classes meet at the entrance between H&M & Forever 21. In the event of rain or extreme temperatures, Stroller Barre & Stroller Strides will meet indoors near the entrance of Forever 21 & H&M. Weather announcements will be made via Facebook 1 hour before classes should there be a change in location. Be sure to check our Facebook page or website by 8:00am if you are unsure about indoor or outdoor class location. Meet us at the track/football field at Montini Catholic High School for our FIT4MOM Running Club! TESC is a beautiful indoor turf. Clean bathrooms and easy street parking!